Once again, the intrepid Zorro fights for justice! 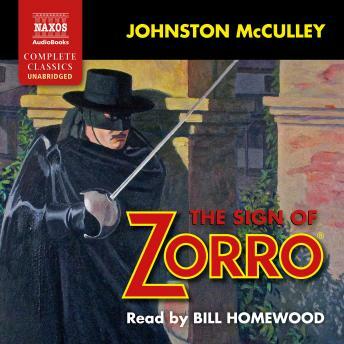 In the fourth of Naxos AudioBooks' Zorro titles, our hero's assistance is sought when the devious Pedro Morelos threatens the fortune of a wealthy heir, Vicente Canchola. Morelos hatches a plot to kidnap the Governor of California and extort profitable trade concessions from him. Zorro overhears this, but will he be able to foil their evil scheme, and stop the Canchola estate from falling into the wrong hands?